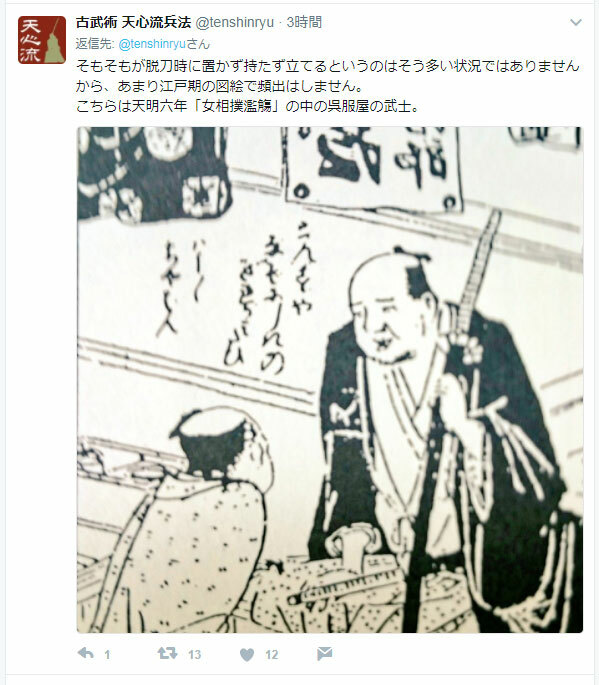 A group that identify themselves as Tenshin-ryu Hyoho recently spread a wrong information, stating that “to keep a katana upright on the ground like a walking stick is part of the etiquette since the old times”. Well, I am a man born in the modern times and I do not know everything about the eras when the warriors (“bushi”) were alive. Therefore, what I am going to say right now may not be 100% right, but I must say something about such etiquette, as a practitioner of iaijutsu and as someone fond of Japanese swords. Personally speaking, I feel that, the aforementioned group tends to throw in arguments after every valid claim that questions them, in an attempt to make the group sound legitimate. Such stance can be seen in the reasonings they gave to justify the fact that Mr. Tenshin Nakamura, from Tenshin-ryu Hyoho, was sitting on a “shogi” (a kind of a chair) in a wrong fashion. Well then, as for the “resting your arms on a sword kept upright on the ground being part of the old etiquette”, as claimed by that group: it might be true that someone really did that in the old times. Perhaps it might have been even a trend once upon a time. 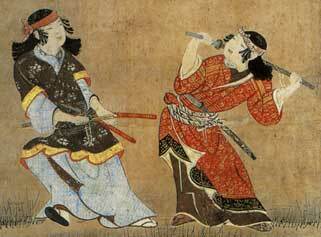 But I reckon it was, at most, when wars were frequent, like during the Warring States Era (Sengoku jidai). I have a clear purpose why I am writing an article on this issue. And that is a strong wish to preserve the swords and their fittings to the next generation. I believe this is also our duty in this modern era. What makes me uneasy about the so-called Tenshin-ryu Hyoho is their stance. They do not acknowledge their errors, nor do they amend them. Instead, they try to make them sound correct. Or they bring up new information as excuses to justify their mistakes. This stance brings nothing but disgust to me. 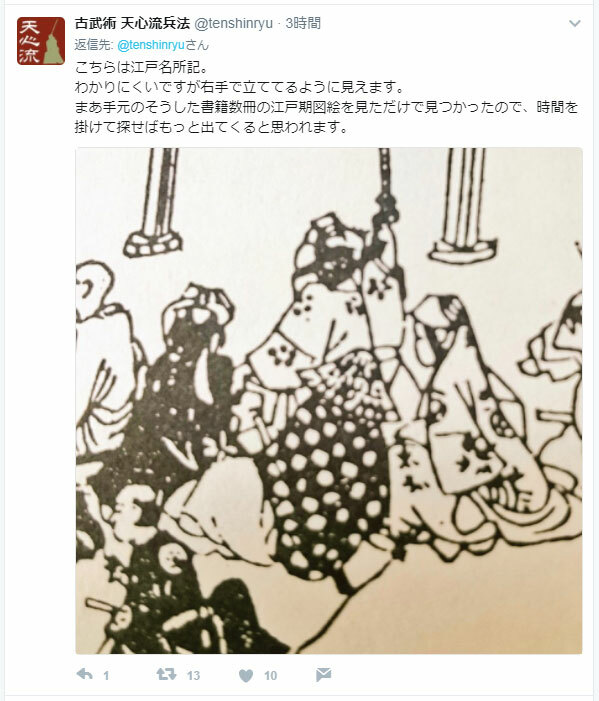 And this time, they are using pictures from the Bakumatsu period and from the early Meiji Era as an attempt to prove their point, claiming those pictures as evidences that it was indeed legitimate to keep your sword upright on the ground. My modest opinion is simple: the rules of etiquette during the Tokugawa Shogunate would never accept such thing. It may sound like a strong statement, but a look on the old sword fittings shows that only one conclusion can be drawn. 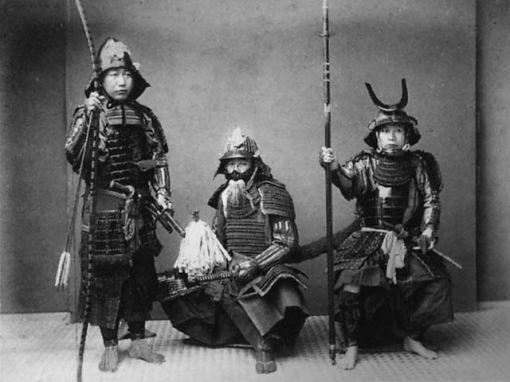 Pronounced wears and damages in the ishizuki can be seen only in the gunto from the World War II. Despite being used only for a few years during the war, it is possible to see abrasion signs of 2mm to 3mm in the ishizuki in some gunto. 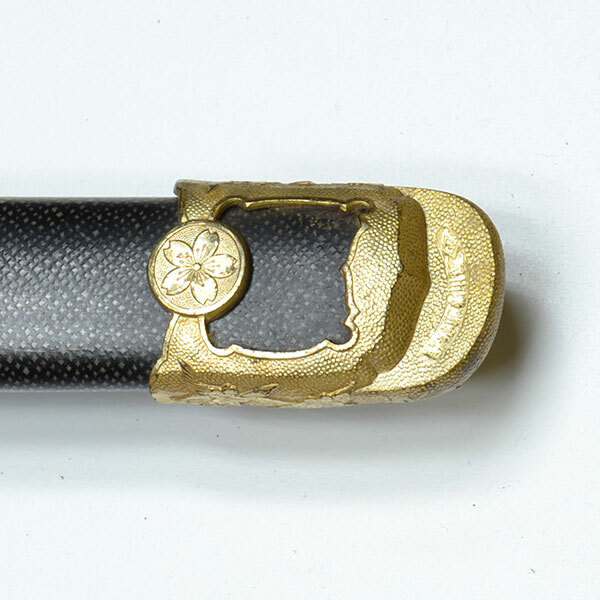 The cherry blossom in the ishizuki can hardly be seen and, in some cases, the damage is so big that a hole is about to open in the scabbard. As many of you must have seen before, it is because the men in the military used to keep their sword upright on the ground. 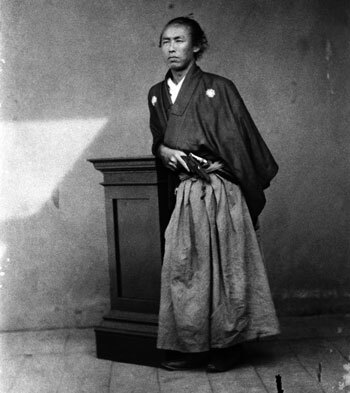 The wear and damage of the ishizuki fittings of gunto were issues of concern even in those times. 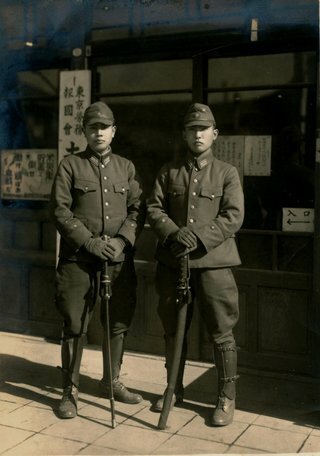 To solve them, the Wakase Gunto maker devised a special ishizuki fitting that even got patented. Those who are familiar with gunto will certain know at once what I am talking about. 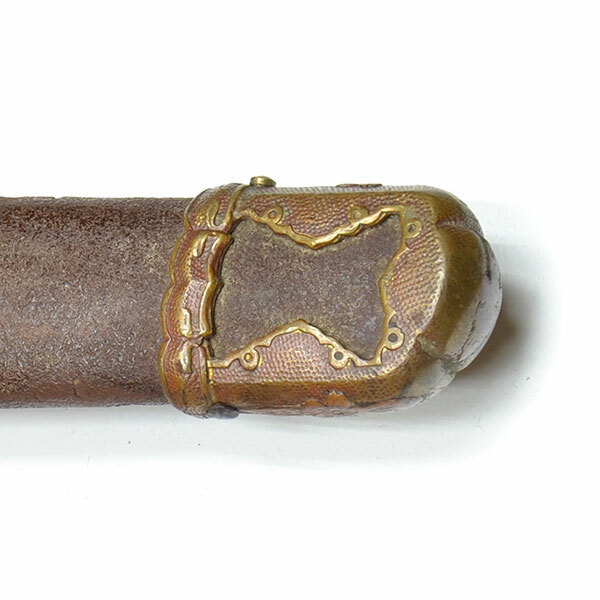 This is an almost brand new ishizuki from a gunto. As you can see, there are just slight signs of wear and you can recognize the cherry blossom at the tip of the ishizuki. On the other hand, this is an ishizuki that was countless times in contact with the ground… one can hardly recognize the cherry blossom at the tip of the ishizuki and the signs of wear are evident. This is quite common. 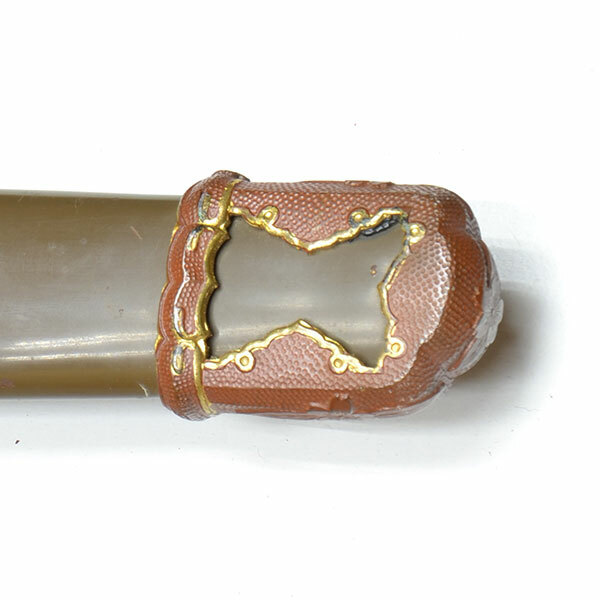 In some ishizuki, the wear is so deep that a hole is about to open. This is the fitting of Imperial Japanese Navy gunto, as devised by Wakase gunto maker, and its special ishizuki. As you can see, even gunto from World War II, which can be considered as recent works, are already in such condition after a few years of use. 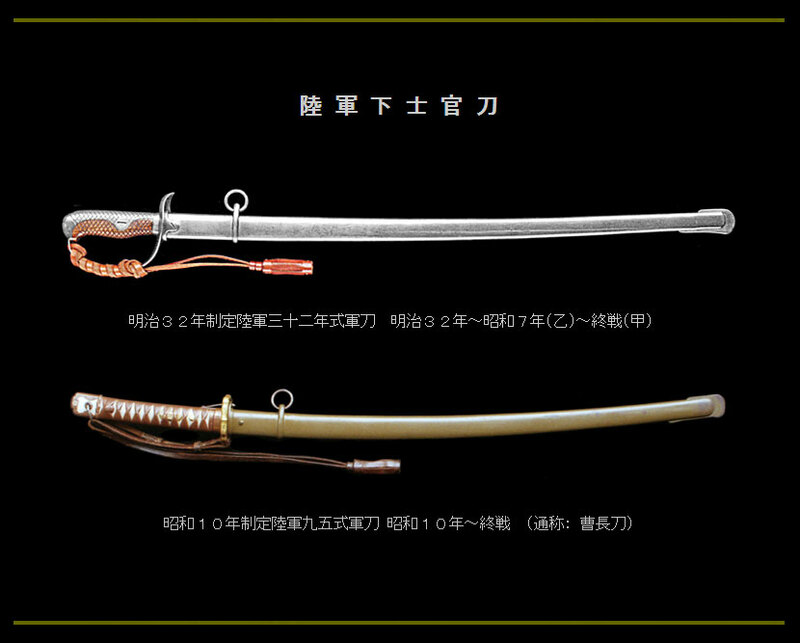 The swords from the Edo Era (Tokugawa Shogunate) used to have fittings made of buffalo horns, not metal. 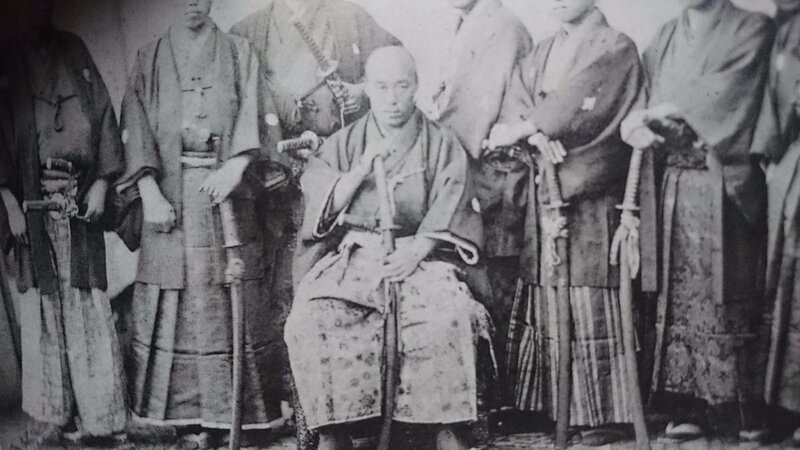 If the etiquette from that time allowed to keep a sword upright on the ground, as stated by the group claiming to be from Tenshin-ryu Hyoho, then it should be common to see many kojiri with signs of wear or abrasion. However, it is really rare to find a kojiri in such condition. 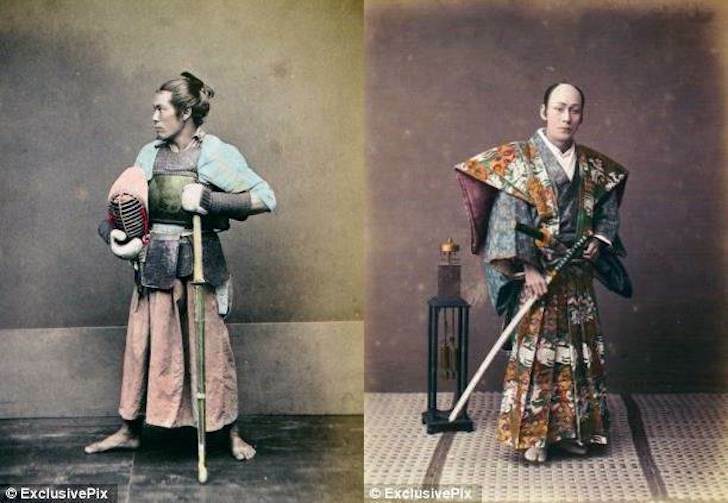 I believe this is a strong proof that nobody in the Edo Era used to keep their sword upright on the ground, like they were using a cane or a walking stick. In iai, there is a ritual called tourei. Meaning literally “respect to the sword”, it is a set of ritualistic movements to bow to the sword and put it in the obi (Japanese sash). And one of the movements is indeed to put the sword upright on the ground. But it is just a formality. 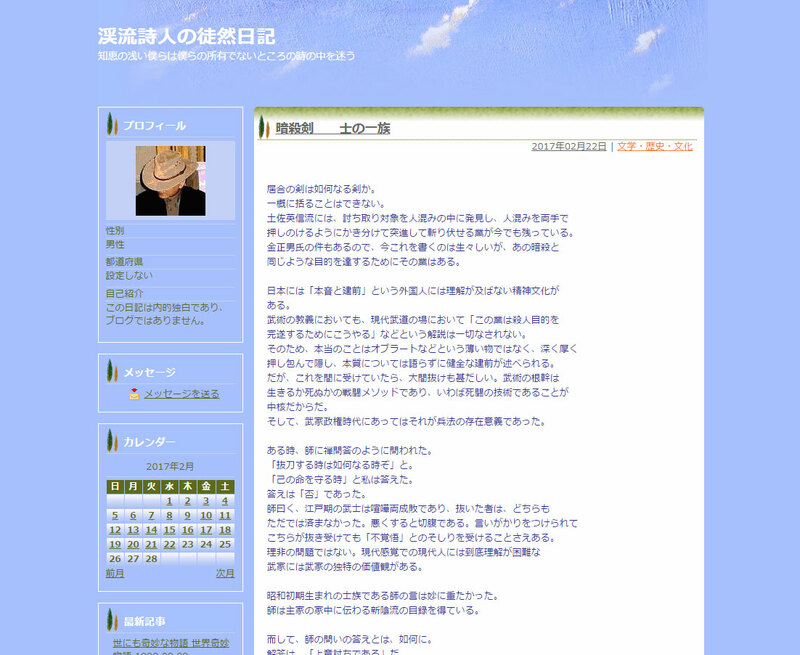 The tourei learned in iai practice was not something that one would do in his everyday life. Then, why are there pictures of samurai keeping their sword upright on the ground? It’s just the cameraman making the models take a westerner pose. I did search in the internet for many old drawings and pictures. But I couldn’t find any featuring swords being kept upright like walking sticks, unless those pictures taken in the Bakumatsu era. Some drawings do show swords in an upright position, but there are no hands pressing them onto the ground. 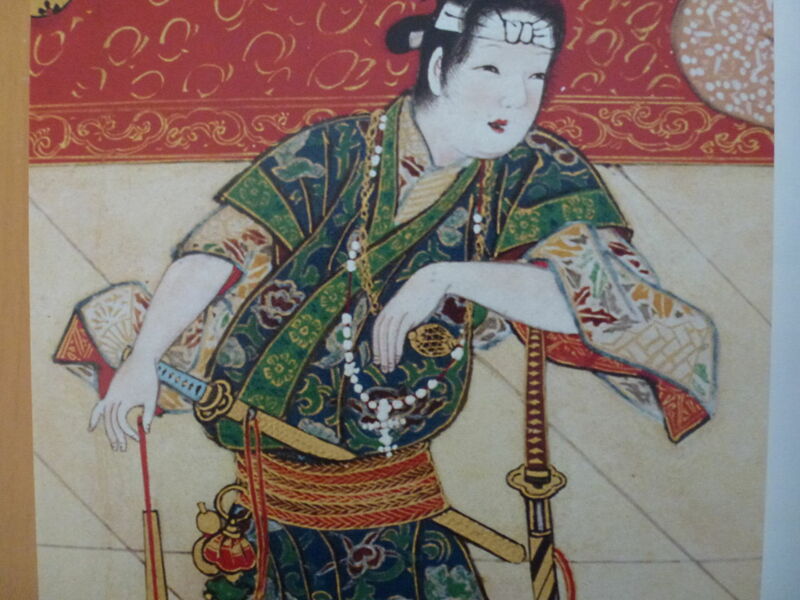 For instance, one scene shows a warrior keeping the sword leaning upright against his belly and using his both free hands to tie his kabuto (helmet). He is not using a sword as a walking stick or similar. 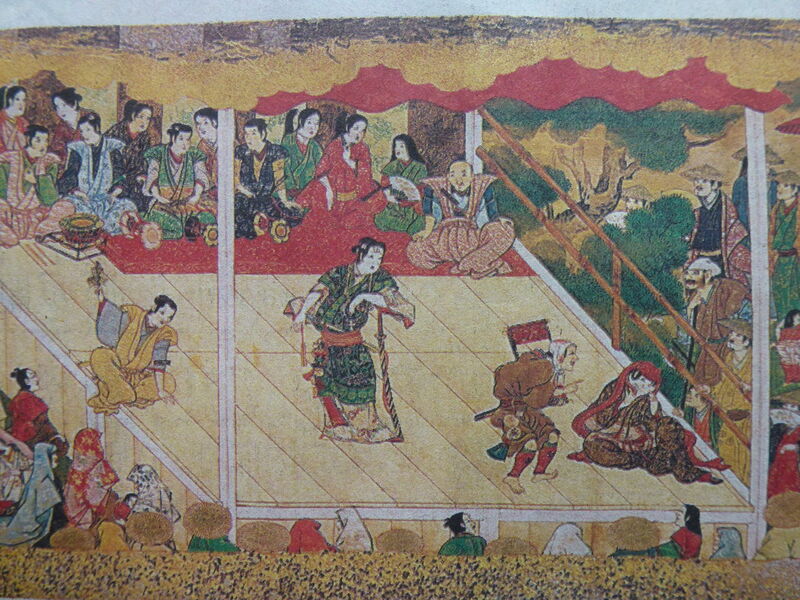 It is believed that most cameramen during the Bakumatsu Era were from the West. And probably in the West, it was common to keep the saber upright and place your hands upon the pommel or to make a similar pose. Also, it is possible that such pose brought the swords in evidence, so that one could identify the social caste of the man photographed. Besides, it seems that not all sabers were meant to be kept upright like that. The more fragile ones were handled with great care, as you can see in their fittings. 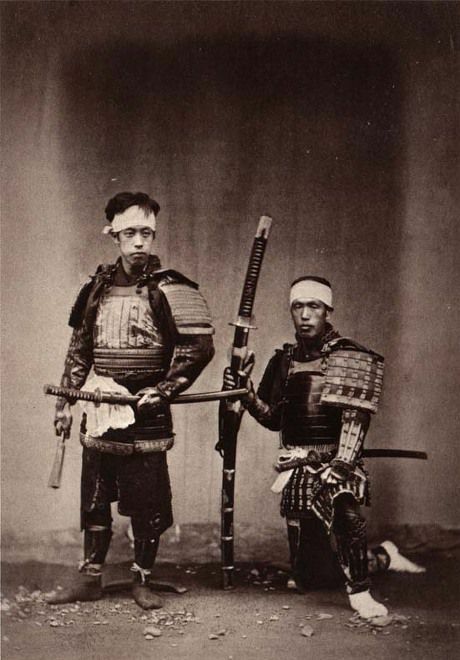 Their scabbards feature a fitting similar to the Wakase gunto, in order to protect from abrasion. 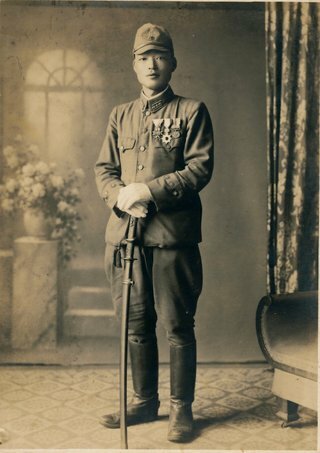 The ishizuki of the scabbard above can also be seen in the Imperial Japanese Army sabers. 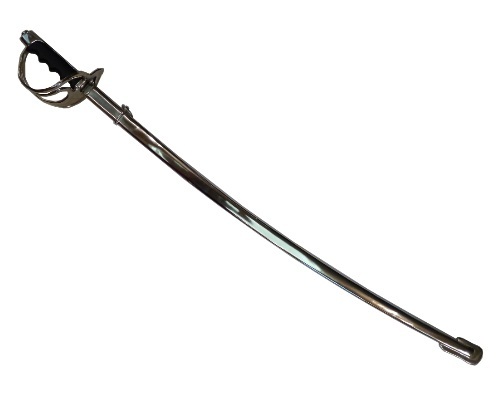 The picture below shows a replica of a Western saber. And there are many swords like this in the West. 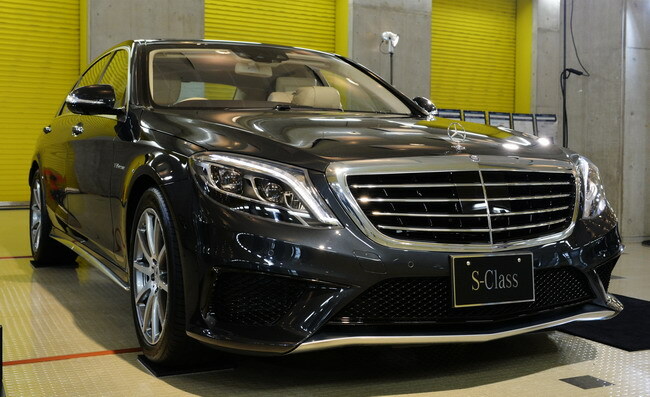 As you can surely notice, there is a round metal ishizuki fitting. 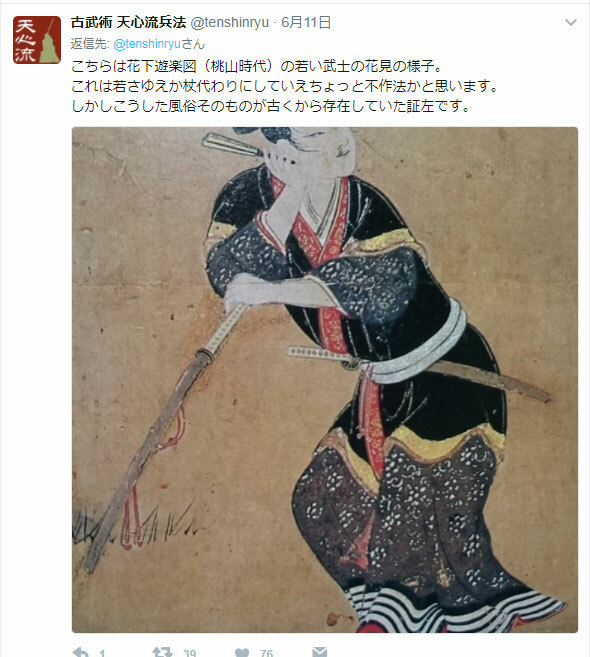 All those evidences point to one conclusion: in the Tokugawa Shogunate, at least, it was no common practice to keep a sword (uchigatana) upright on the ground. And should one need to keep it like that, then it was usual to support it on your sandal or on you foot, in order to avoid touching the ground. 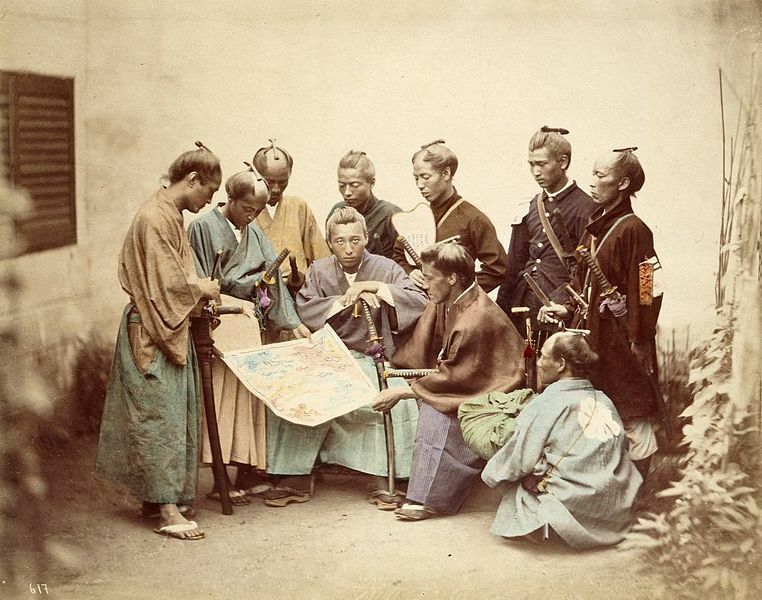 Taking all this into account, I cannot avoid but have several doubts on whether the Tenshin-ryu Hyoho does actually teach the correct etiquette from the Edo Era. And seeing videos of their practice, my impression is that not a few technique is based on unrealistic scenarios. 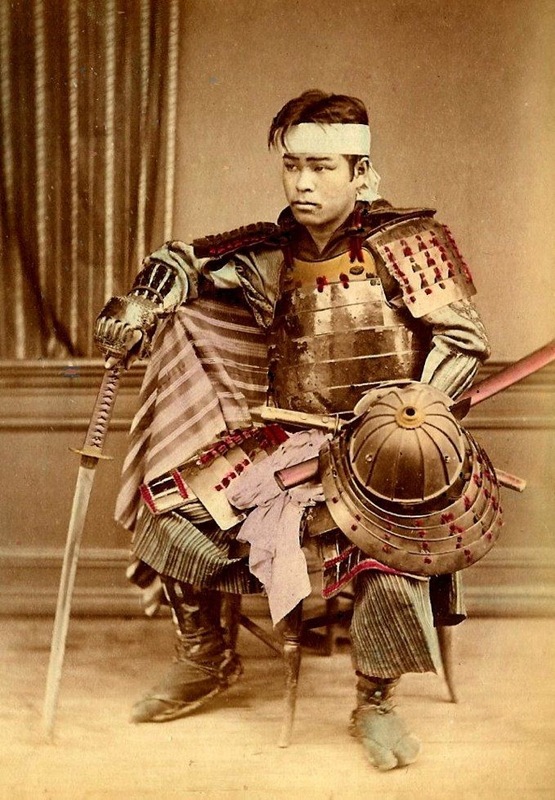 Also, it must be noted that not every man photographed in armor and such during the Bakumatsu period and the Meiji Era was actually from the warrior caste. Were those men real warriors? No. Actually, most of them are actors and peasants using warrior costumes and photographed for making postcards for Westerners and such. It is clear that they are taking poses as requested by the cameraman. This is different when it comes to actual warriors. It is possible to see that, while they comply with the cameraman’s request, they also make some arrangements on their own. Notice the man in the center. He is placing his scabbard on his foot, to prevent damage to the sheath. If keeping the sword upright on the ground were part of the etiquette, then why the leftmost person and the person in the back at the center are just holding their sword with their hands? 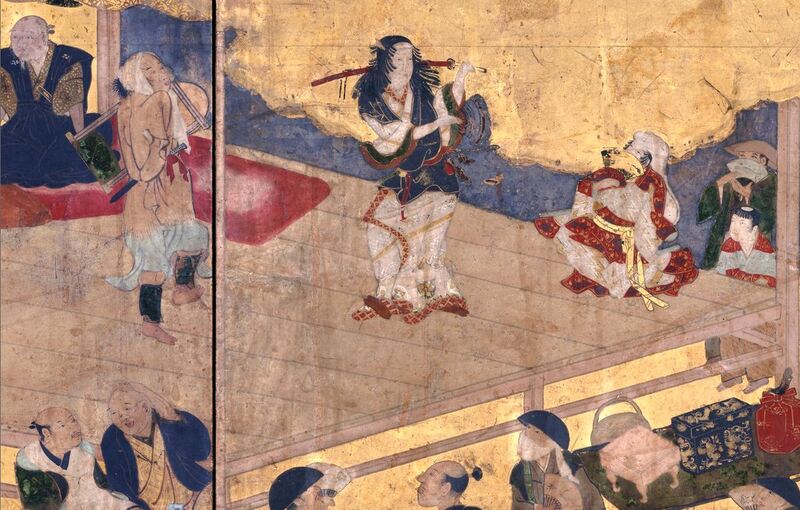 The person at the center, in the back, is raising his sword a little bit, in order to show his sword and therefore prove that he is a warrior. Likewise, the leftmost person is holding the sword in his hand to show that he is also a warrior. A careful analysis of the photos shows that not a few warriors refused to take the pose asked by the cameramen. And this shows how careful they were with their swords. I guess it was in Aichi Prefecture, but there is a statue of Oda Nobunaga placing his sword upright on the ground and leaning on it like a walking stick. That is just gross, being nothing but a bronze statue created by the imagination of someone from the modern times. 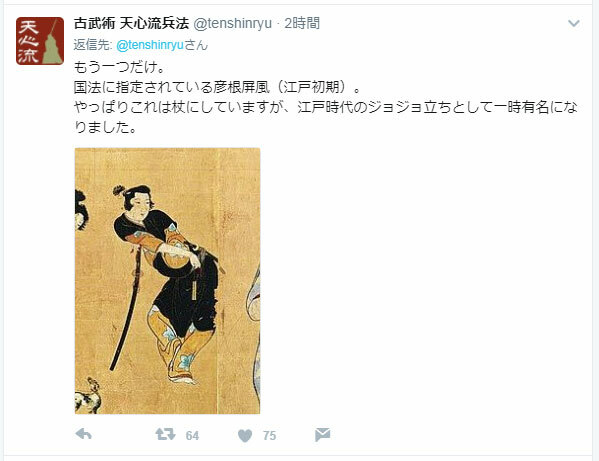 It is dangerous to accept at face value the information provided or spread by the group who claims to be from Tenshin-ryu Hyoho. Objects, both from the present and from the past, are proofs that can deny their claims. The pose with a sword kept upright on the ground is most probably a request made by Westerner cameramen in order to get a good picture according to their standards. Anyway, please refrain from keeping the sword upright on the ground. It only causes damage to the sword and its fittings. I ask everyone to spread this article to as many people as possible, so that they will have access to correct information.